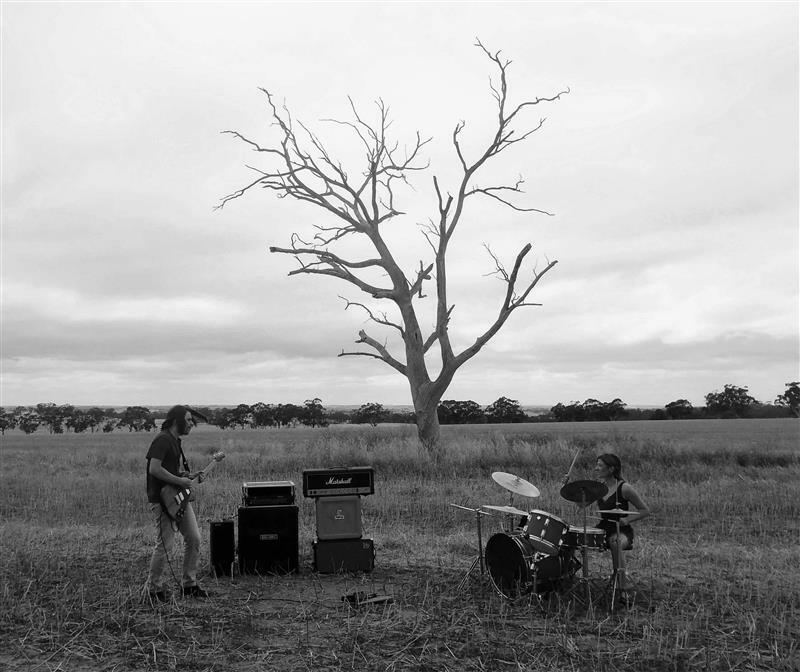 Drawing Inspiration from the rugged surroundings of the hot and dusty back drop of Western Australia, the Power Duo has crafted a gigantic sound that fills the frequency spectrum with punchy, warm, low, dirt driven guitar riffery and thumpin drums to be heard for miles around. With a solid dose of powerful melodic vocal hooks and a tastefully structured song writing their approach is often reminiscent of 90s alternative band icons such as Helmet, Queens of the Stoneage, Monster Magnet, Faith no more. A blistering dynamic live show that will lead you through plains, valleys and mountain tops with a full sonic assault and attitude to burn - this two piece has a presence of a five man band (Nocturnal Hall Magazine). Successfully pursueing the DIY approach, the two have stamped their brand of raw and filthy two piece power to their ever growing fan base in over ten countries. They have recently been on tour with Monster Magnet and have shared stages with Soulfly, Sepultura, Melvins, Clutch, Fu Manchu to name a few. Having played festivals such as Czad Festiwal (PL), Vestrock (NL), Freak Valley (D), Up in Smoke (CH), Stoned from the Underground (D), Desertfest, Öllesummer (EST), Poolbar Festival (AT), Volcano Sessions (FR) among many others, underlines Powder for Pigeons status as one of the scene's most exciting up and coming acts.